A couple of years ago one of the panels I attended at TOPCWF had a late substitute on it in the form of Leye Adenle. Not an author I was aware of at the time, he was such a fantastic addition to the panel that I rushed straight out to buy his book at the book tent. Clearly I wasn’t the only person as by the time I got there they had sold out, so I had to wait a while to get my hands on a copy of Leye’s crime novel ‘Easy Motion Tourist’. Once I did though Leye soon became one of my favourite authors and so as part of October’s Black History Celebration Month I was delighted to be able to do a Q&A with the man himself. Hi Leye and thanks for your time. Firstly have you always been a writer and who inspired you? Do you prefer writing short stories, novels or articles? I have always written, even when it was just crayon on the walls of my parent’s home. For as far as I can remember, and since when I was reading, I’ve wanted to be a writer and I’ve written. As a child I started with poems, short stories and even comics that I drew with my brother, then I had many failed attempts to write complete novels, then I did even more short stories and even managed some complete manuscripts that I shall never allow anybody to read. I lost one manuscript that I really loved, and recently, while searching for something else, I found a complete novel I wrote in longhand in a notebook. Of all the forms of writing, I like writing articles the least, but I still like writing them. The books I read from a young age inspired me to write – it must be that because I cannot remember a time when I did not want to be a writer. My working day starts with the alarm, followed by a mad dash to get to work. I take the long bus route when I’m not running late. This gives me the chance to read whatever book I’m reading at the moment on a upper deck window seat. Each day at work is different, apart from reoccurring meetings, due to what I do. I coach software developers, software development teams, and organisations. After work, depending on the day of week, I either go to the gym then go home to write a few pages of the book I’m writing at the moment, or I go straight home and write a few pages of the book I’m writing at the moment. The perfect afternoon away from the day job would be spent in my favourite coffee shop on my favourite chair next to the socket to plug in my laptop. I love books. ‘Wouldn’t be a writer otherwise. These days I read two books at the same time; one fiction and one non-fiction related to my day job. I tend to only read non-fiction when I’m writing which means I go all greedy in-between writing as I catch up with all the titles I’ve been stockpiling. I have read Chinua Achebe’s Things Fall Apart almost every couple of years for the past twenty years or so. If any unpublished manuscripts of his were to suddenly surface, it’d be like winning the lottery for me. I cannot stop reading Lee Child’s Jack Reacher. I was crazy about James Patterson but got exhausted trying to keep up. It’s kinda comforting knowing that there’ll always be a new Alex Cross novel. What is the one thing that you wish people knew about Lagos that no one ever knows? Lagos is a state, not a city. Yeah, it’s big. Massive. Twenty million people. That’s because its a state! Argh!!! That’s great news and I’ll definitely keep an eye out for that. This is a series that I would highly recommend for all fans of gritty crime fiction. 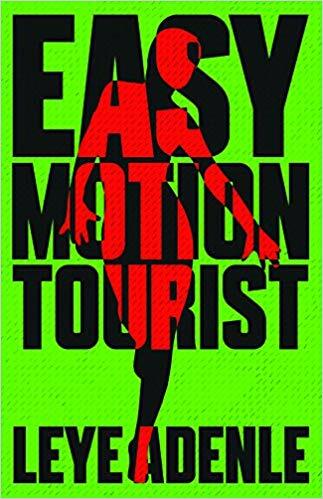 If you would like to find out how good this Nigerian Crime Series is for yourself then you can find both Easy Motion Tourist and his latest When Trouble Sleeps from amazon. I was given a copy of this via netgalley and the publishers Little Brown Book group. 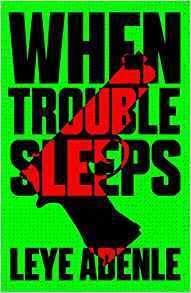 This is the debut novel by Mark Hill, who has previously been known as Crime Thriller Fella on his book review blog. The Two O’Clock Boy opens with a young boy, killing his parents. Back in the present day DS Flick Crowley is given her first big case to lead on. A man and his family have been murdered in their home. Other murders soon follow, and it becomes clear to Flick that they are all somehow linked to a children’s home in the eighties. Unfortunately her superior DI Drake isn’t convinced and pushes her to investigate other avenues. However as the murders continue they have to start working together to find out if they can stop the Two O’Clock Boy. Having read this story straight after an altogether gentler read by Francis Brody it came as a bit of a shock to the system. Which is not a criticism at all – this is how I like my crime, gritty, dirty and brutal. The book flips between the current investigation into the crimes, and flashbacks to the children’s home. Gradually what happened to the boys and girls in the home become clear, as does the reason behind the present day murders. This was a book that did cause me a little confusion. Whilst I thoroughly enjoyed it, I did feel that some of it was a little bit unrealistic, relying as it did on people not recognising other people. I also felt that the way DS Crowley was treated by DI Drake was something that would have caused red flags instantly to someone who was a good detective. However putting that aside, I thought this was an excellent debut. I liked the main characters. As all fictional detectives do they have secrets and torments in their pasts however this didn’t take over from the actual plot which can sometimes be the case in a debut. The twists and turns within the story were interesting, and kept me moving forward at a good pace. There was also some reveals at the end that I didn’t see coming at all which I always like. I thought this was a really good debut that deserves to do well. I was recently given a copy of this via netgalley and had saved it to read on a train journey to Birmingham. I was very glad I did, as I don’t think it is often that a book gets you thinking long after you finish it. Whilst there are plenty of books I read and thoroughly enjoy most of the time I’m just straight onto the next one. However this story really did pull me up at the end and the morning after I was still thinking about it. The book starts with the disappearance of Daniel. His Dad worked in the garage over the road and Daniel had run out of the open door across to the garage before disappearing. All that remains is his footprints left behind in the wet concrete. His mother Amy spends her day sitting by these footprints polishing them and trying to protect them from the elements. DI Marvel wants to investigate the missing boy, but after having failed to find another missing girl called Evie he is instead assigned to a different case that he feels is rather beneath him. Amy rarely leaves the house but when she gets a flyer through her door advertising a local physic event (the shut eye of the title) she is so desperate she’ll grasp at any straw she can to find her son. The psychic Latham was previously involved in Evie’s disappearance and it is through him that the differing strands of the stories merge. The Shut Eye is a very difficult book to review without giving away too much. There is an element of the mystic around it. Yet this is dealt with well and I didn’t get to the end feeling cheated which I usually do when a supernatural element is included. The writing itself was seamless and I was utterly gripped from start to finish. The story is seen from not only the perspective of the detective but also Amy and Jack the parents of missing Daniel, as well as including the Chief’s wife and an insight into what happened to Evie. Throughout Shut Eye I felt in turn both sorry for and angry at the characters. The sense of isolation, and desperation that came through the pages made me really sorry for some at points, but just as forcefully their actions and stupidity made me want to strangle them. One of the things that I felt made a refreshing change was that this (although I may be wrong of course) didn’t strike me as a book that was being written to start a series. Often and understandably people write books in order to have their detective at the forefront. However this felt like it was a completely stand along book being written because there was a great idea for a story rather than a great idea for a detective. I thoroughly enjoyed this story and think that any book which is both thought provoking and enjoyable is definitely worth a read. It even made having to go to Birmingham a more pleasant experience.